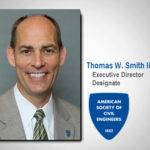 So remarked ASCE President Randall “Randy” S. Over, P.E., F.ASCE, upon his return from an 12-day presidential trip that took him to Bolivia, Colombia, and Panama August 9-21. Over was accompanied on the trip by Executive Director Patrick J. Natale, P.E., CAE, F.ASCE, and Director of International Relations Meggan Maughan-Brown, MPA, CAE, CMP, Aff.M.ASCE. Central to the trip was taking part in the XXXIV Convención Panamericana de Ingenierías, the 2014 convention of the Unión Panamericana de Ingeniería (UPADI), in Santa Cruz, Bolivia. Over participated on a panel hosted by the General Assembly on Sustainable Infrastructure. Also in attendance were several Society leaders, who engaged with the 28 other countries that make up UPADI to share ideas and information about how each country has been able meet the challenges of the ever-increasing demand for energy, transportation, and water and wastewater management, while protecting the environment and developing natural resources. 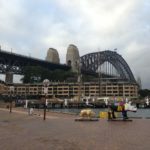 “This trip was not just about meeting and greeting,” added Natale, “it’s all about collaborative opportunities and how ASCE can help make a difference to improve conditions in other countries and that includes business opportunities for ASCE and our members. After landing in Santa Cruz, Bolivia, the ASCE delegation attended the opening of the Pan American Academy of Engineering (API), where Over was inducted as a member of the prestigious organization which includes over 200 distinguished engineers and many past ASCE presidents and leaders, including William P. Henry, Patricia D. Galloway, William J. Carroll, Luther W. Graef, and Natale. With the opening of the UPADI General Assembly the next day, Over was invited to address the membership on the subject of “Sustainable Infrastructure in the Americas” and then be part of a panel discussion on Ethics and Infrastructure. Among the panelists were Wendy Hallgren, vice-president of compliance at Fluor, and Maristella Aldana, chief of the Office of Institutional Integrity at the InterAmerican Development Bank. Speaking to the General Assembly, Over stated, “It has become clear that the infrastructure we [the U.S.] have built over the past 50 to 100 years has aged. Although our infrastructure was planned, designed, and built to meet expected growth, we have outgrown it, and in some cases failed to maintain it. “You are a very important leader,” Natale told the council members, “If you get nothing done, your committee gets nothing done. If your committee gets nothing done, UPADI gets nothing done. If UPADI gets nothing done, the engineering profession in the Americas gets nothing done. If the engineering profession gets nothing done, our infrastructure crumbles, communities fail, and we all end up living in a cardboard box down by the river! 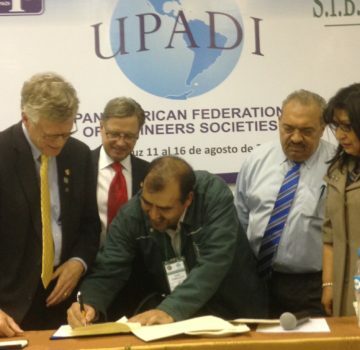 Among the other highlights of the Bolivia part of the trip, ASCE signed an Agreement of Cooperation with the Society of Bolivian Engineers (SIB), which the Society had been attempting to achieve for several years. Raymond Issa, Ph.D., P.E., F.ASCE, was elected the North American vice-president of UPADI, succeeding Canada; ASCE past President, William P. Henry was awarded UPADI’s top award, the Plomada d’Oro (the Golden Plummet Prize), for his leadership; and Michael Sanio, ENV SP, CAE, F.ASCE, ASCE’s director of Sustainability and International Alliances, was elected for a second 2-year term to the API board. Panama City, Panama, hosted the Panama Canal’s 100th Anniversary Centennial Gala. Over and Natale then flew to Panama City, Panama, as invited guests of the Panama Canal Authority to a black-tie event celebrating the Panama Canal’s 100th anniversary. The Centennial Gala was an artistic, musical, and theatrical extravaganza representing the epic construction of the canal, and it was broadcast live on Panamanian television. More than 2,000 guests turned out at the Figali Convention Center on August 15 for what the organizers called the “gala of the century.” The main event was a singing and dancing extravaganza telling the story of Panama from its earliest beginnings to the present day. Highlighting the evening was a group of acrobats twirling from above the stage on ropes and trapeze swings to simulate the birth of the isthmus that would separate the Atlantic and Pacific Oceans. ASCE was a guest of the Panama Canal Authority because of the prominence of the Society and the work that civil engineers have done in constructing the canal. John Findlay Wallace and John Frank Stevens both served as chief engineer of the original Panama Canal construction project, and both served a term as president of ASCE – Wallace in 1900 and Stevens in 1927. The final leg of the journey took the group to Colombia for a series of meetings with engineering associations and government agencies and with members of ASCE’s Columbia Section. Over, Natale, and Maughan-Brown first met with Diana Maria Espinosa Bula, the first female president of the Society of Colombian Engineers. After Over gave a presentation about ASCE, the group sat down to discuss how to transition students to membership and the idea of forming a Younger Member group to achieve this. Before leaving, Over signed a renewed Agreement of Cooperation with the Society of Colombian Engineers. They next met individually with Roger Rodriguez Moreno, vice president of Construction at the National Agency of Infrastructure; Juan Martín Caicedo Ferrer, executive director of the National Chamber of Infrastructure, and Luis Alberto González Araújo, executive director of the Colombian Association of Engineering Schools, before traveling that evening to meet with members of ASCE’s Colombian Section and students from the Universidad de los Andes, the Universidad Del Norte, and the Escuela Colombiana de Ingeniería Julio Garavito. “We were extremely well received,” recalled Over. “We had quite a number of students in attendance and younger members who came as well. After my presentation we had a Q&A session that lasted longer than an hour, much longer than anticipated. We had lots of questions specifically about ASCE but they seemed to be most interested in sustainability and Raise the Bar, and how it could potentially affect them. The next day, Over, Natale, and Maughan-Brown had meetings with Josue Galvis, F.ASCE, president of the Colombian Association of Structural Engineering; Germán Pardo with the Colombian Association of Tunnels and Underground Works; Mary Luz Mejia de Pumarejo with the Colombian Association of Sanitary and Environmental Engineering; Cristina Gamboa, executive director of the Colombian Council of Sustainable Construction; Maria Alexandra Uscátequi Luna with the National Roads Institute; Hernán Guillermo Ceballos, with Economic Development, Bogota; and Juan Carlos Montenegro, director of the Urban Institute. “We went to Colombia to just have real, meaningful discussions that will create some great business opportunities for ASCE – whether it is publications, continuing education, conferences, sustainability, or other areas,” stressed Natale. “For example, we talked about working with Colombia on potential translation of technical material to Spanish that would be a benefit to the Americas – the Central, South, and Caribbean nations – and Spain.